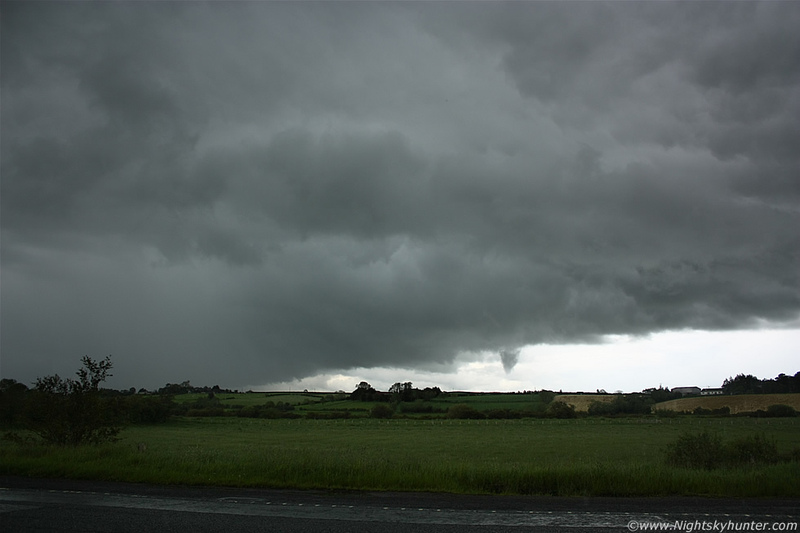 Wide angle image of the June 7th 2011 Glenshane Road thunderstorm to show the storm structure and birth of a dramatic funnel cloud. Precip core to the left with c-g lightning and thunder and at centre is the base of a rotating updraught with a funnel cloud twisting as the condensation funnel formed revealing the vortex to the naked eye, read the report for more information. * All images are available for sale in the form of photo prints, canvas or digital files for licensing, if you are interested in a purchase simply drop me an email.